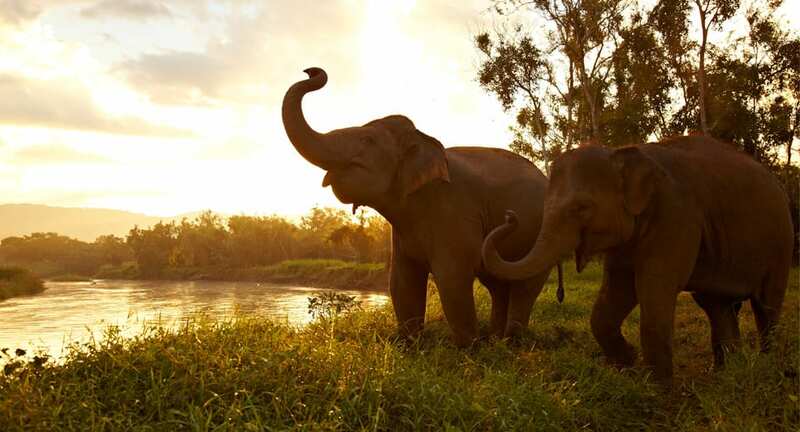 Select from a range of Chiang Rai hotel promotions by Anantara and indulge in an immersive experience in a stunning destination, with elephant encounters, spa journeys, cooking classes and tours of three countries. Enjoy full-board dining, airport transfers and more for ease. All bookings made until 30 April 2019 for stays between 1 June 2019 and 31 August 2019 will receive a complimentary Walking with Giants activity. Offer subject to availability and weather conditions. Book a three-night stay or more until 30 April 2019 for stays until 31 May 2019, and receive an exclusive four-course Three Country View Dinner, overlooking Myanmar, Laos, and Thailand, and accompanied by a mellow bottle of Prosecco. All rates are subject to 10% service charge and 7% applicable government tax. The rates quoted are subject to seasonal variations and change without notice. Rates noted above are based on recent currency exchange data. The rate indicated on your confirmation is in the official hotel currency and will be charged at that rate upon check-out. Subject to a deposit and cancellation policy. In case of no shows or early departure, a 100% charge of the total stay applies. Extra child policy (4-12 years of age): Additional charge of THB 7,500 per child per night when sharing a room with parents. Children receive the all-inclusive benefits listed above with the exception of spa treatments. Extra adult policy (13 years old and above): Each additional adult is charged at THB 10,500 per person per night. For more information on applicable tariffs during your desired booking period, or to make a reservation, please contact our reservations desk or click on 'Book Now'.